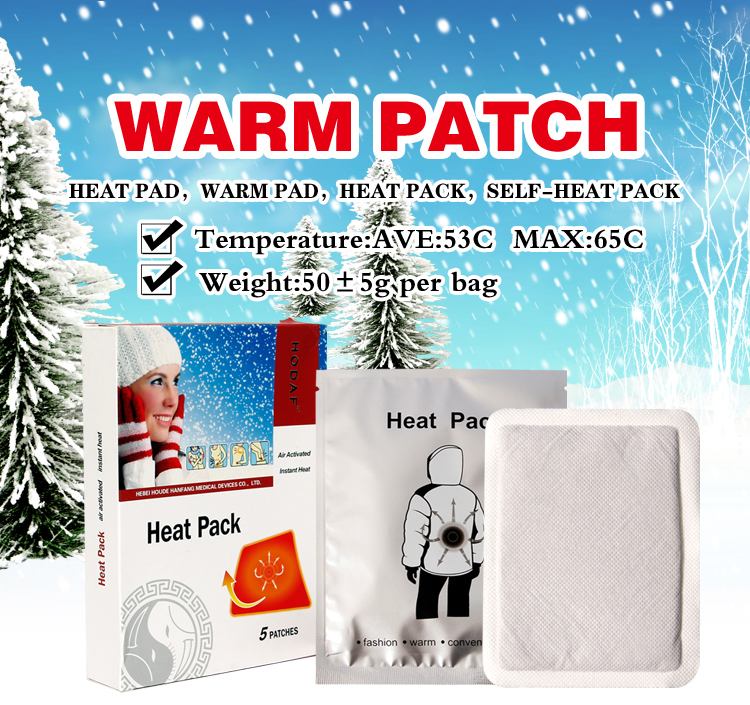 Product categories of Heat Pack, we are specialized manufacturers from China, Heat Pack, Body Heat Pack suppliers/factory, wholesale high-quality products of Comfort Heat Pack R & D and manufacturing, we have the perfect after-sales service and technical support. Look forward to your cooperation! Air activated hand warmers contain cellulose, iron, water, activated carbon, vermiculite (water reservoir) and salt and produce heat from the exothermic oxidation of iron when exposed to air. They typically emit heat for 1 to 10 hours, although the heat given off rapidly diminishes after 1–2 hours.The oxygen molecules in the air react with iron, forming rust. Salt is often added to catalyze the process.